I am hereby informing you, that whichever of you is the first company to refuse sales of prohibited firearmst to all of NY state, including law enforcement. That I will purchase on of your firearms and encourage others to do the same. Please stand with us for freedom, liberty and the 2nd Amendment. Head of Media Matters is protected by Glock. Why do we carry guns? Because we can’t afford a small Glock carrying army to walk down the street with us. You have to laugh when you read this quote from a Media Matters employe “He had more security than a Third World dictator,” – how interesting, as most Third world dictators are usually for gun control as well. Notice a trend here…??? Is the $1,000 Glock in the near future? In 2009 I lost my job, I had approx. 2 years left on a 5 year vehicle loan for my Dodge Durango. We sold it, it’s hard to pay for without a job. In high site, I’d have done things differently. But hindsight is seldom available as foresight. If you look in the graph of the article, you will see 2009 as a huge drop in vehicle price. Yup, that was when we had to sell. 2009 was a perfect storm for cheap cars: millions out of work selling their cars cheap, near bankrupt auto-makers, a glutt of cars from nearly all manufacturers, the Cash for Clunkers (also known as give money to the rich to buy cars and ! @#$% over the poor by destroying the used car market). Now we’re in a time of lower production, small inventory, and a used car market that is outrageously expensive. This looks to be a very profitable window for automakers but a far more wallet busting one for the average Joe. Who’s buying power has dropped while expenditures have gone up in every way. Frankly, I don’t expect it to change anytime soon. And us Americans probably need to face the music. Costs are going up. In the gun community, we often make references to the “tupperware” guns (Glock, XD, SR-9, numerous other mass produced polymer firearms) versus the more classical 1911 and other $1,000+ guns. Interestingly, we’ve seen an decrease in price of those higher end guns recently as more larger manufacturers moved into production (S&W, Ruger, etc, all offering 1911 based models). But that’s party economy of scale. The “tupperware” guns have pretty much stayed around the $450-$550 price mark. I think over the next 5 years or so we are going to see that trend move up. Just like ammo did a few years ago. The shortage ended, and prices fell slightly, but never back to the old levels. A box that cost $20-$25 now costs $35. A $10 brick of .22 is now $15. A $30 box of premium ammo is now $40-$50. The price of ammo will never return to the pre-jump prices. The manufacturers learned what we were willing to pay. And they’re happy to have the extra profit margin. How can we expect that not to happen with the average Joe firearms as well? 1. Costs are going up, even for manufacturers. Metals and non-plastic materials have increased in price. 2. There is a larger sales volume and lot more “new” gun owners who have no recollection of paying $300-$400 for a firearm. $600 seems reasonable, that’s what all the other models are priced at. 3. Newer designs often bring about a small premium. Legislation for CA/MA models necessitates re-designs. Increasing firearm costs. And while inflation is always a continual cancer eating away at our buying power. I think the next 5 years is likely to see a shift up for the average Joe firearms. Ironically, I think the fancier ones might see reduced prices. This is off course just speculation. But I would be surprised to see a jump up to a $600 street price on “tupperware” guns. So at least the firearm prices will be affected merely by market pressure, economy, and manufacturing costs. However, if you’re (un)lucky enough to live near a big city like Philadelphia. You might be able to trade that broken pot metal gun in your drawer for a gift card to put toward a new quality firearm thanks to their gun buyback programs. Rights to transport firearms on Amtrak trains restored (sort of). Originally the law was going to mandate that in order for firearms to be transported they must be stowed away in locked metal containers. In a similar fashion as occurs while flying on commercial airliners. This is not a new right. Though some, like the Brady Campaign, will have you believe. Rather, it’s a restoration of what was acceptable before September 11th, 2001. Apparently due to some sort of transcription error. The requirement that President Obama signed mandates that the carrier must be stowed in a secure container. Frankly, I’m not sure I’d put it past someone in this administration doing it deliberately. But in all likelihood it was probably just a typo. So there you have it. You can now transport your sidearm on AMTRAK. You just have to be locked in a box to do so. Also in the news. A measure was passed (courtesy of Murtha) to protect M-1 carbines, M-1 Garands, M-14s, .22 caliber rifles, and others from being destroyed. This language also includes a prohibition on the destruction of small arms ammunition and components, and a response to the short-lived concern over destruction of spent brass casings earlier this year. Now I want to point something out. I dislike Murtha and his frivolous spending and his private airport. However, the NRA is not concerned about such matters – there are plenty of other organizations like “Downsize DC” that worry about such matters. The NRA is focused on the right to keep and bear arms. If U.S. Representative John Murtha supports it, than the NRA will support him. Folks, we have to stop demonizing the NRA for supporting people who we dislike for other issues. Don’t expect the NRA to put pressure on elected officials for pork barrel spending. Address those issues through OTHER advocacy groups. Last spring Eric Shelton of the Handgun Podcast decided to torture test his Glock by towing it behind his pick-up truck through the Arizona desert. I’ve been listening to the Handgun Podcast for about a year now. It’s one of my favorite podcasts. And it just dawned on me that I never shared this fascinating video with my readers. Glock – say anything against them and you’ve got instant debate “just add internet water”. The truth is that Glocks are excellent firearms with an excellent reputation for reliability, accuracy, and maintenance. But the reality is that they are not perfect for everyone. I personally find many of the larger Glocks to be uncomfortable. The G17 is decently comfortable for me but many of the rest are not. I have short stubby fingers. I’ve also known people who get nipped by the slide on Glocks because of the short dove tail. 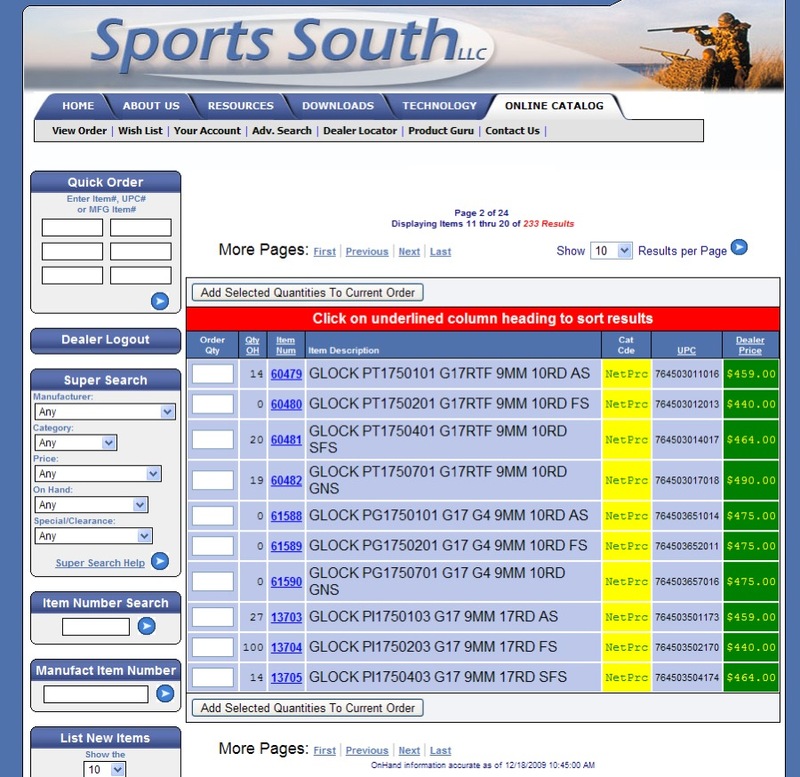 Many have commented that Glock has been falling behind the times compared to the feature sets of other firearms. The solid reliability of the Glock design has kept it a strong seller. But there has been a noticeable trend of many police departments migrating to S&W M&P’s. Glock’s traditional bread and butter. 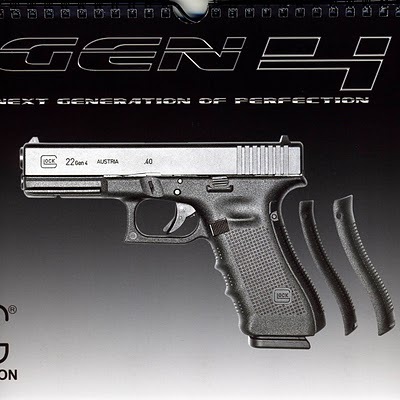 There has been much hypothesizing that Glock would eventually have to improve their “perfection”. It appears that 2010 will be when we see such (im)perfections. This does create some confusion as Glock released an update earlier this year. So was that generation 3.5? Are the never days of the gun industry ending? 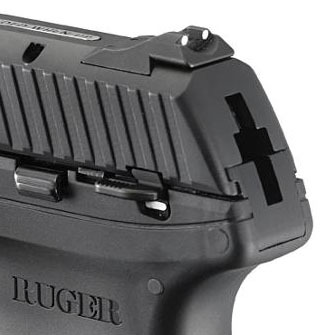 If you asked most people 5 yrs ago, would Ruger ever offer an AR. They’d probably have said it was very unlikely. Many have criticized Glock for standing fast and unchanging. The Glock has been criticized as becoming dated. While it’s a good gun that works for most people. It doesn’t fit everyone comfortably. Many have wanted Glock to step up to the plate with thinner grips, adjustable backstraps, etc.